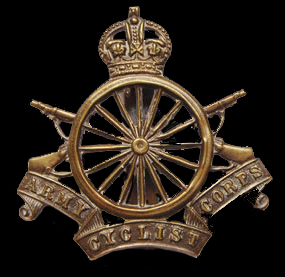 The Army Cyclist Corps was formed in 1914, absorbing a number of pre-existing cyclist battalions, from the Territorial Force where they had mainly undertaken the role of coastal patrols. 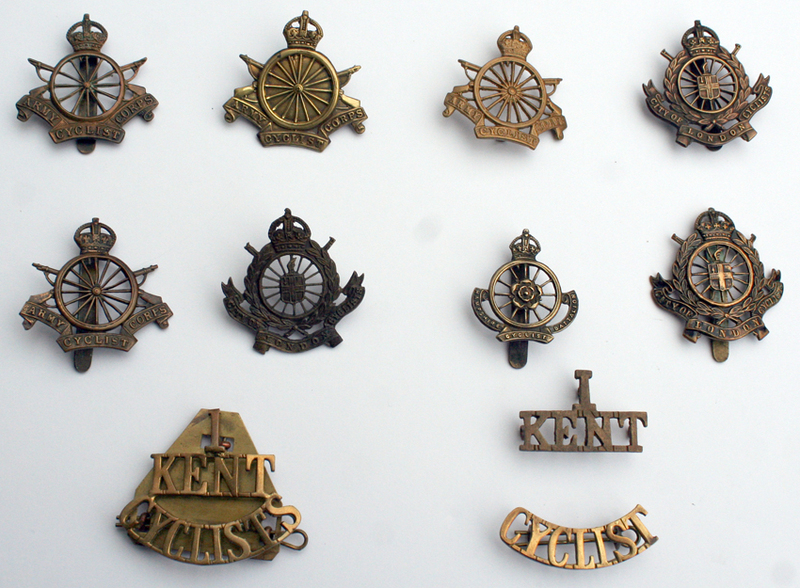 These pre-war units wore their own distinctive unit badges whereas the cyclist units raised during the war all wore the ACC badge. 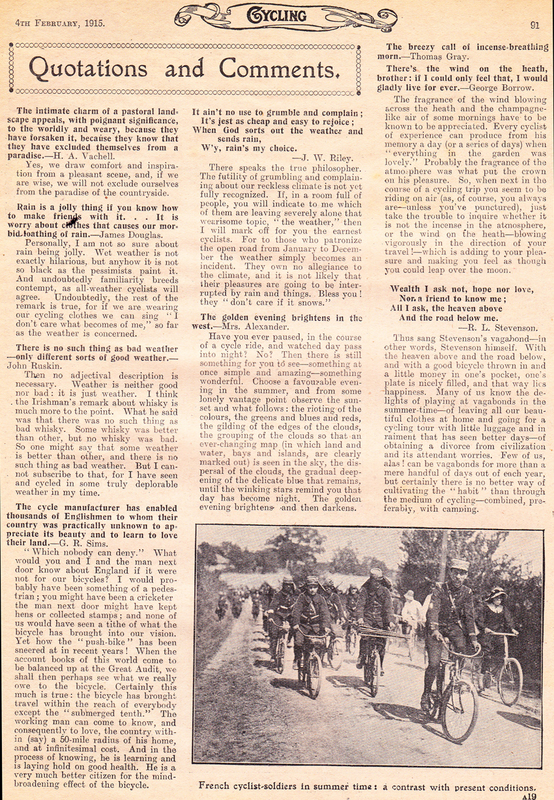 The first cyclist units went overseas in 1915 to France and Flanders and to Gallipoli, undertaking a reconnaissance role with the Army Divisions and taking the number of the individual Division. 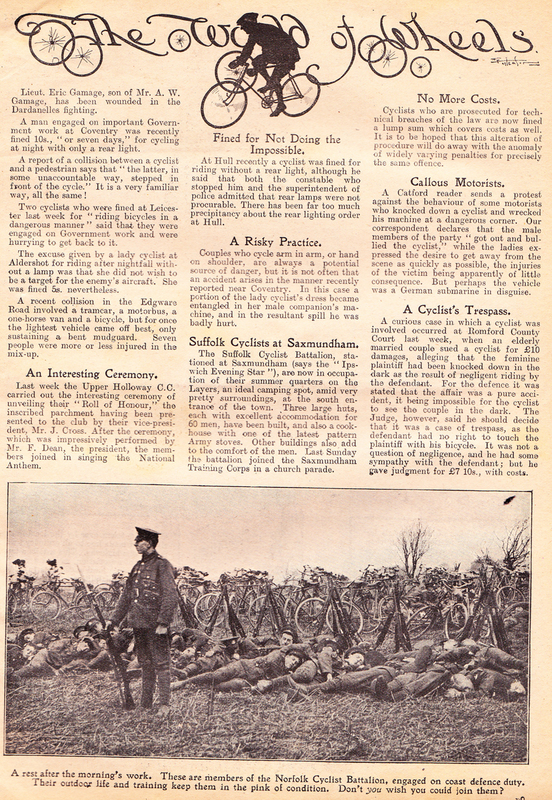 The Corps was disbanded in 1919. 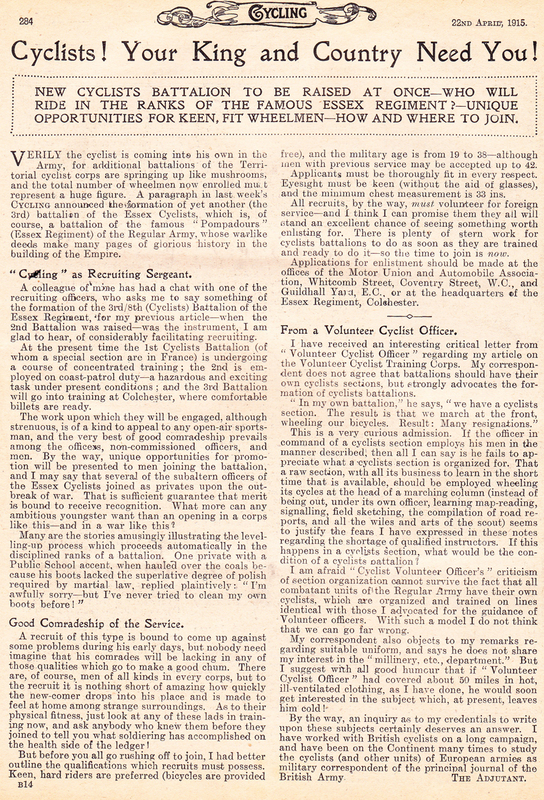 Volunteer cyclist units had been formed as early as the 1880s, with the first complete bicycle unit (the 26th Middlesex Rifle Volunteers) being raised in 1888. 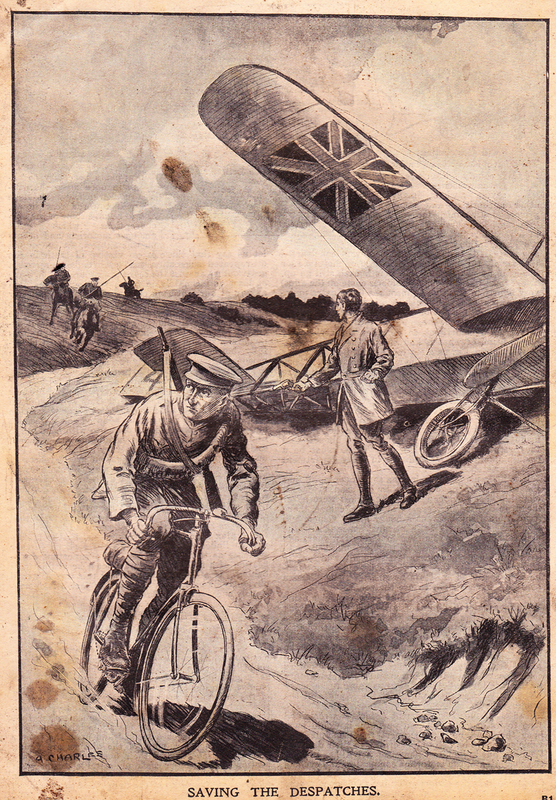 Cyclists were employed on an intermittent basis during the South African War – whilst they were not deployed as organized combat formations, the bicycle was found to be invaluable for reconnaissance and communications work, being lighter, quieter, and logistically much easier to support than horses. 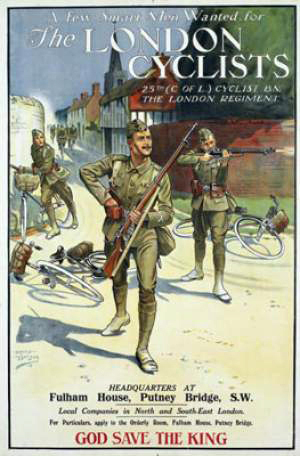 When the Haldane reforms in 1908 reorganised the volunteers into the Territorial Force, nine battalions of cyclists were formed – one from the 26th Middlesex, five from volunteer infantry battalions, and three newly raised. 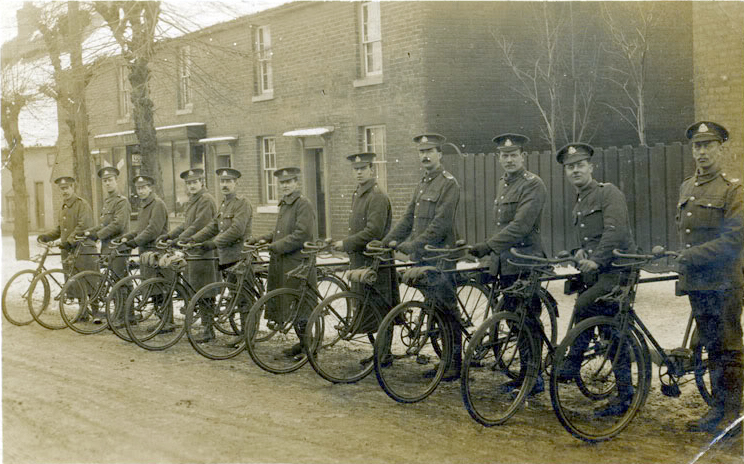 A tenth, the 7th (Cyclist) Battalion, The Devonshire Regiment, was raised later in 1908. 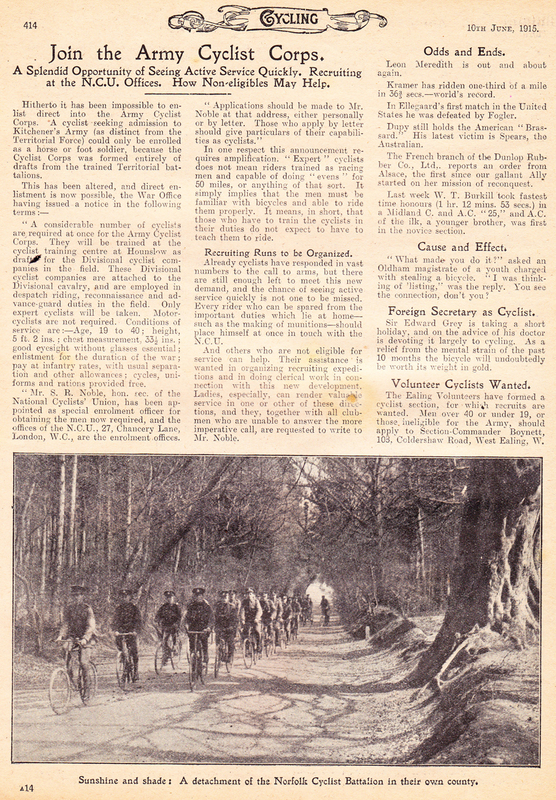 In 1910, the Essex and Suffolk Cyclist Battalion split into the 8th (Cyclist) Battalion, The Essex Regiment and the 6th (Cyclist) Battalion, The Suffolk Regiment. 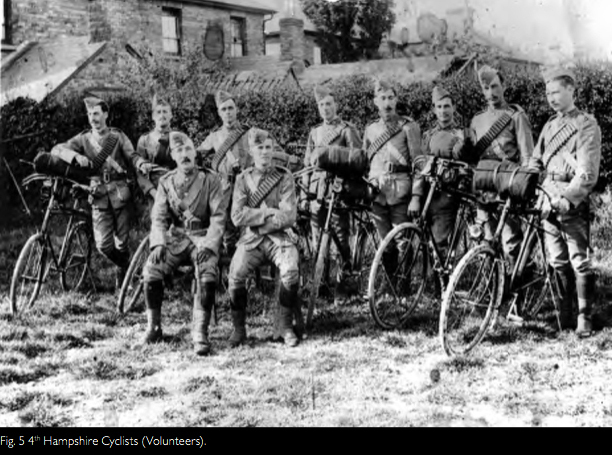 In 1911, the 6th (Cyclist) Battalion, The Royal Sussex Regiment and 9th (Cyclist) Battalion, The Hampshire Regiment were formed. 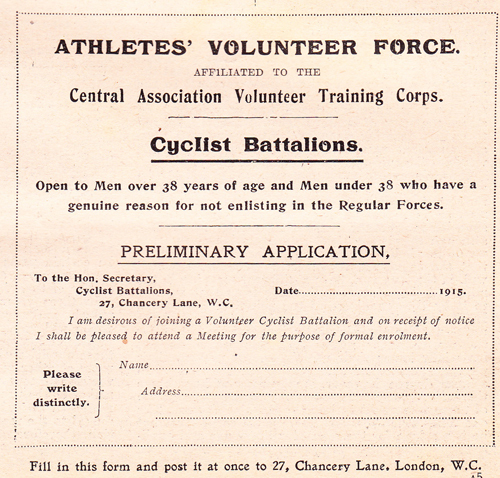 In early 1914, the Huntingdonshire Cyclist Battalion was formed. 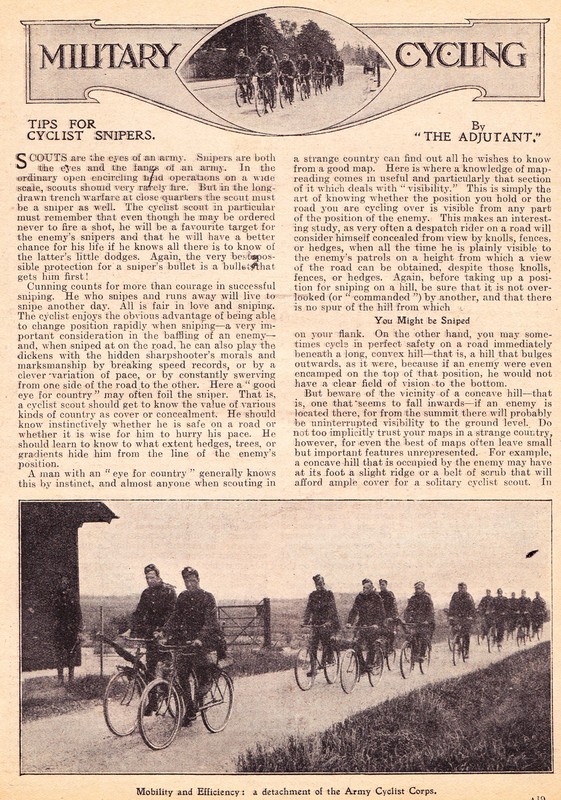 On the eve of the First World War, the Territorial Force thus stood at a strength of fourteen cyclist battalions. 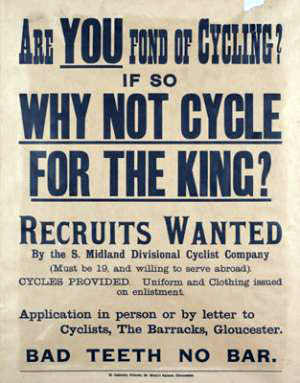 Ten of these were Territorial battalions of regular infantry regiments, whilst four – the Huntingdonshire, Highland, Northern and Kent Cyclists – were independent battalions without regimental affiliation. 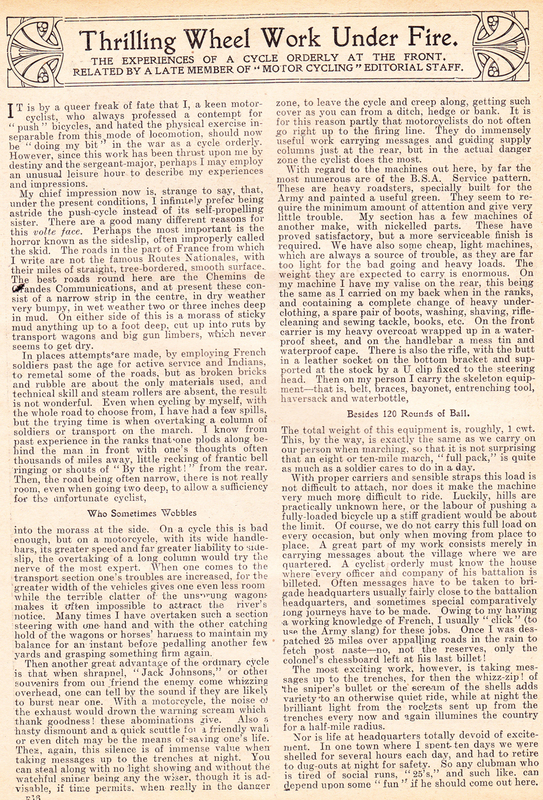 None of the territorial units saw service overseas in the first months of the war, all being used for coastal defence work inside the United Kingdom. 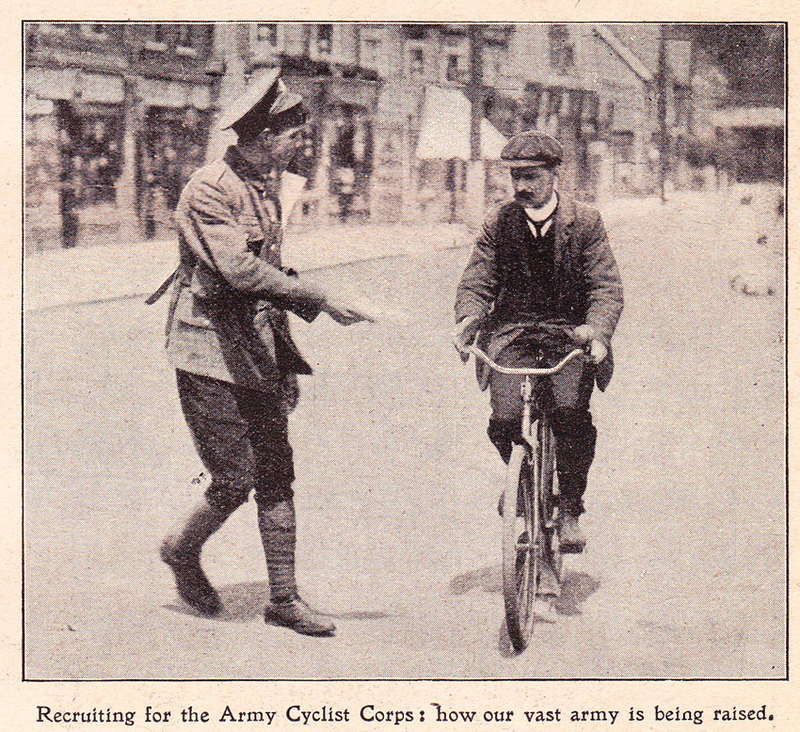 In 1915, the Army Cyclist Corps was founded to encompass these battalions; it later extended to cover a dozen more battalions raised from second-line yeomanry regiments which had been converted to cyclists. 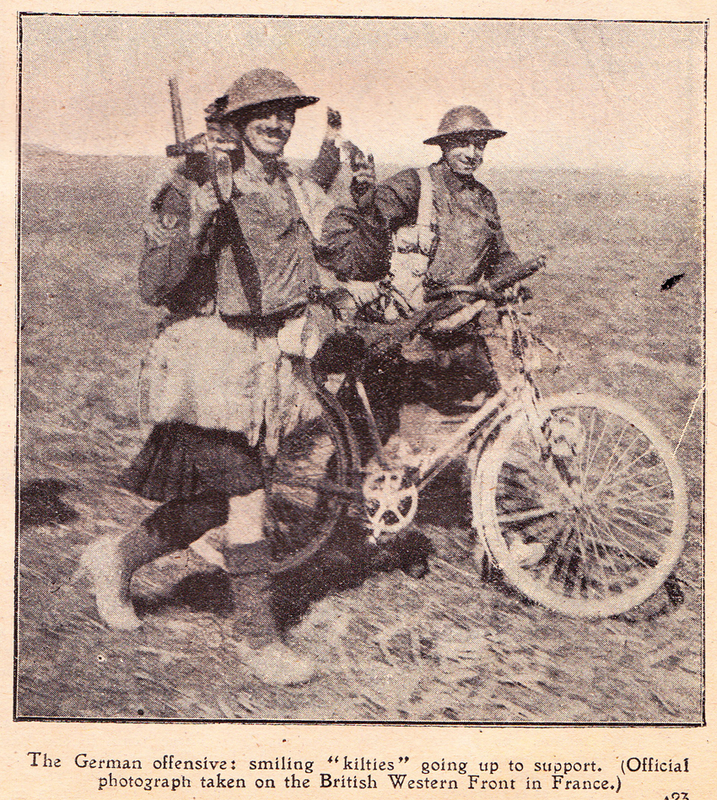 Most units of the Corps served out their time in the United Kingdom, providing replacement drafts to infantry battalions; some were converted back to conventional infantry and saw active service, such as the Kent Cyclists (on the North-West Frontier) or the 10th Royal Scots (in northern Russia). 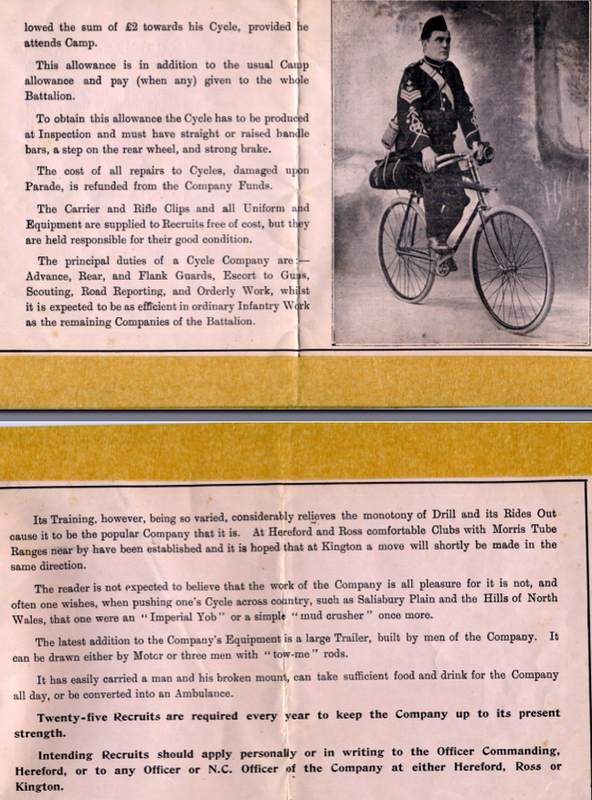 Formed units of the Corps were not sent overseas; this was done in small groups of men, with the divisions possessing individual cyclist companies and composite battalions later formed at corps level. 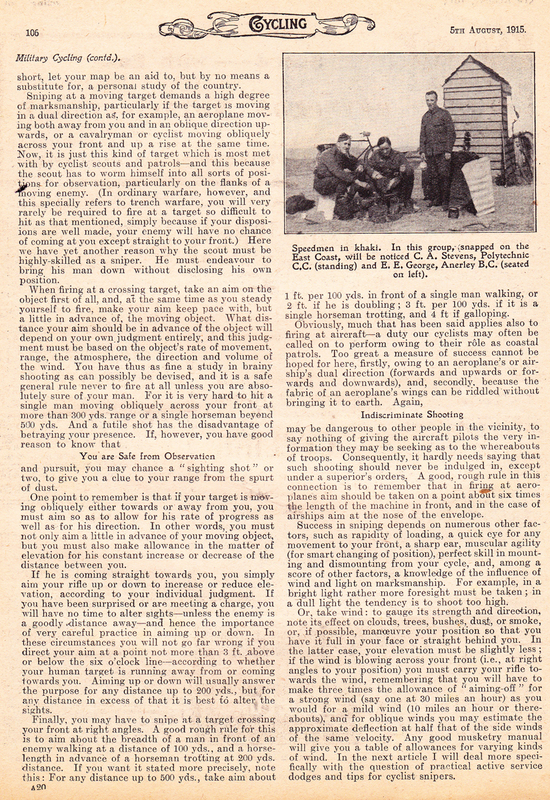 These were rarely committed to action, rather being held back in preparation for the resumption of “normal” mobile warfare. 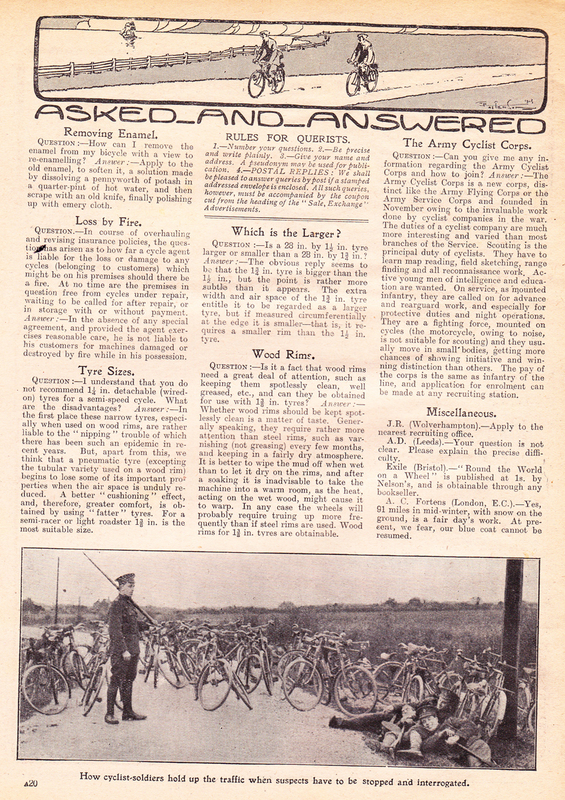 On the occasions that cyclists were employed in combat, they were generally found to be ineffective; the terrain on the Western Front was unsuitable for them, causing the bicycles to be discarded early on and the unit proceeding as normal infantry. 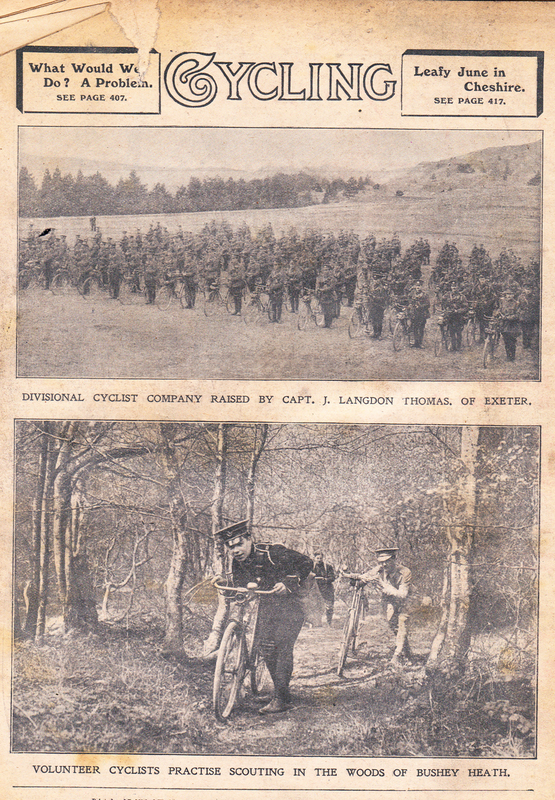 Following the war, cyclists were perceived to have little value, and the Corps was disbanded in 1919; by 1922 all remaining Territorial cyclist battalions had been converted back to conventional units. 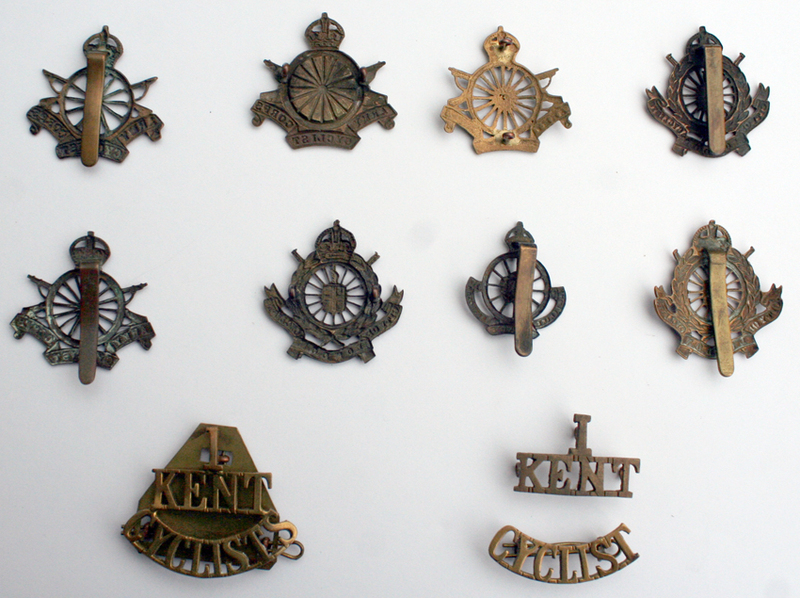 Thanks to my friend Ricky for letting me photograph his badges. 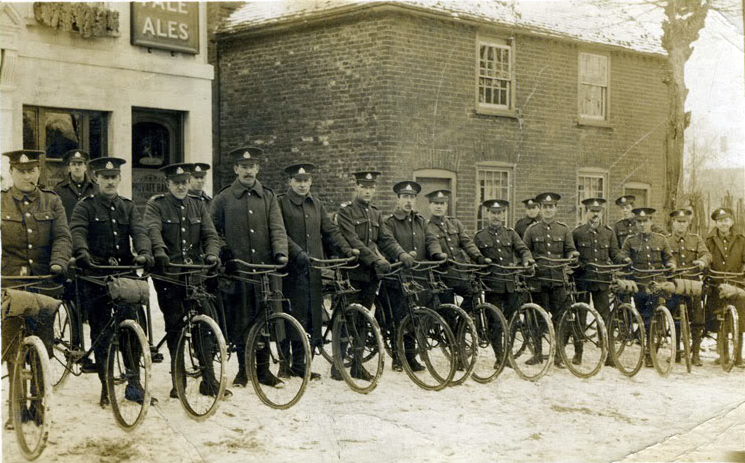 2/1 Derbyshire Yeomanry in Wingham, Kent during 1916 – presumably on home defense duties. 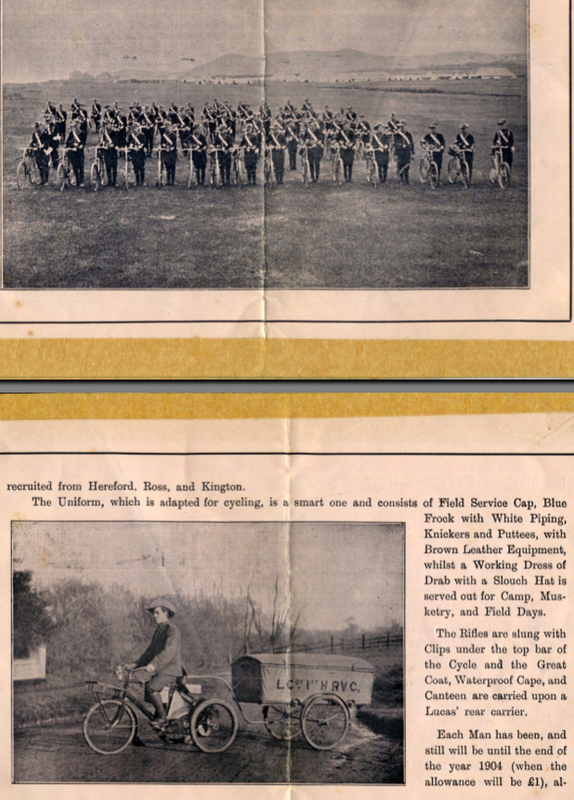 They were converted to a bicycle unit when their horses were needed for the 1/1 battalion in Mesopotamia. 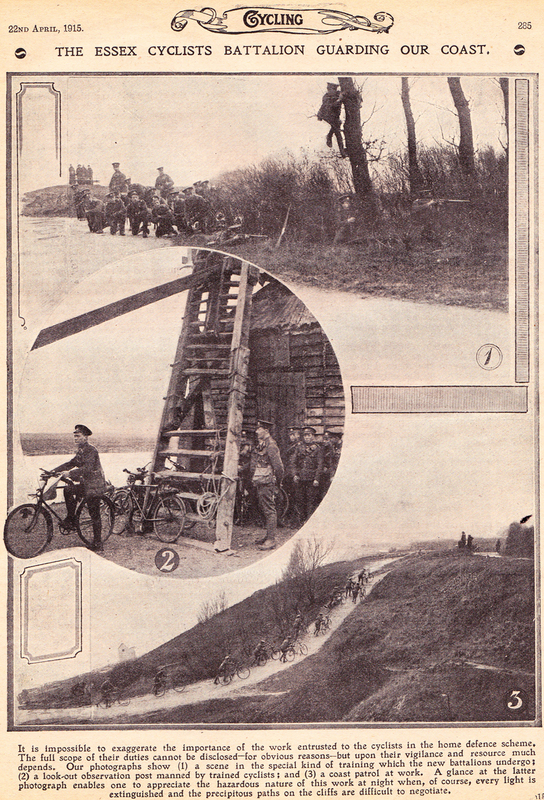 These two photos and caption with thanks to AndiS, on Landships WW1 forum. His great uncle belonged to this unit.